Single ply membranes are strong, flexible sheets composed predominately of synthetic polymer. Thickness is in the range 1.1mm to 2mm. Some products are homogeneous, others reinforced with glass fibre or polyester, depending upon the application. They are sealed at joints to form continuous waterproofing. When combined with insulation and continuous support they form complete, durable roof systems. The system comprises strong and durable, flexible sheets composed predominately of synthetic polymer that are sealed at joints to form continuous waterproofing. Combined with insulation and continuous support they form a complete, stable, long lasting and durable roof system that requires almost zero maintenance. 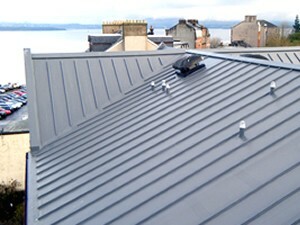 Single Ply roofing materials allows choice in roof design, performance and appearance for both new roofs and for the refurbishment of existing roofs.